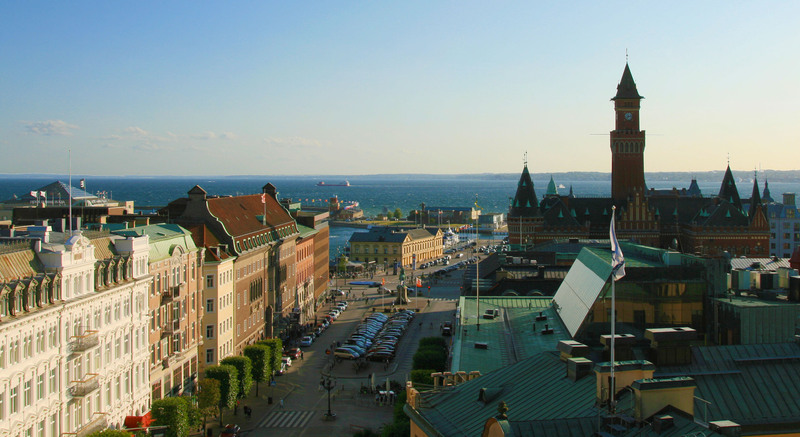 Helsingborg is one of Sweden’s oldest cities having been the site of an official permanent settlement since May 21st, 1085. The city’s geographical position at the narrowest part of Örsund straight between Denmark and Sweden made it very important for Denmark, who controlled both sides of the strait at that time. From 1429, Eric of Pomerania introduced the Örsundstolden (The Sound Dues), a levy, on all trading vessels passing between Elsinore and Helsingborg. It served as a major income for the Danish Crown. Fishermen were not subjected to the dues. It was a tax aimed initially at the Hanseatic League. The Sound Dues allowed Helsingør to flourish. The northern narrow inlet to Örsund with it’s high coastlines made its impression on many mariners. When Kronborg Fortress on the Denmark side was rebuilt into a palace during the Renaissance, it gained fame. Proof of this is William Shakespear’s masterpiece ‘Hamlet’ which takes place at Kronborg. “And the Prince of Denmark could well have hidden himself from his evil uncle in Helsingborg.” The Renaissance was a good time for the Kingdom of Denark, but toward the middle of the 1600’s difficulties appeared from the north.